I’m not completely sure what the difference is between a pie and a tart, other than the shape of the pan. For all intents and purposes, what follows is a pie disguised as a tart. Thus, it is a much fancier (almost French seeming, hey, it’s Bastille Day!) 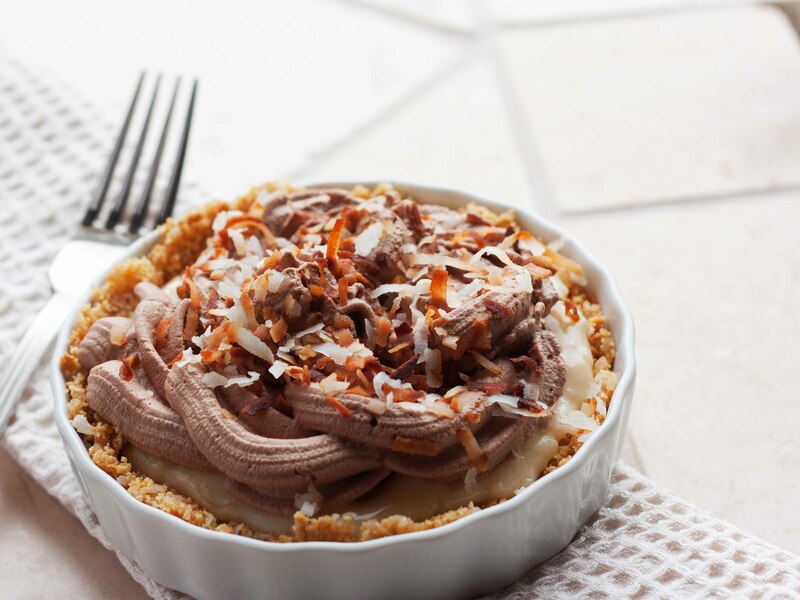 version of coconut cream pie. Okay, let’s be honest. I’ve never eaten coconut cream pie. I don’t think I’ve ever even seen one in person. 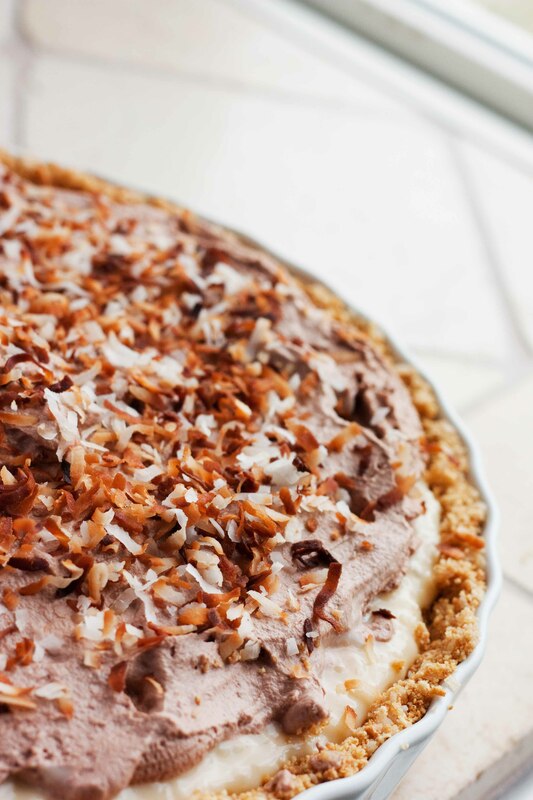 That was until I made my version of what I think coconut cream pie should be like. I have no idea if this is what coconut cream pie should taste like, but here’s my creation. Karla’s new and improved version with rich chocolate whipped cream for topping. I’m going to go ahead and call it a winner. Crush graham crackers and combine with 1 cup of coconut. Melt butter and pour over graham cracker mixture, toss to combine. 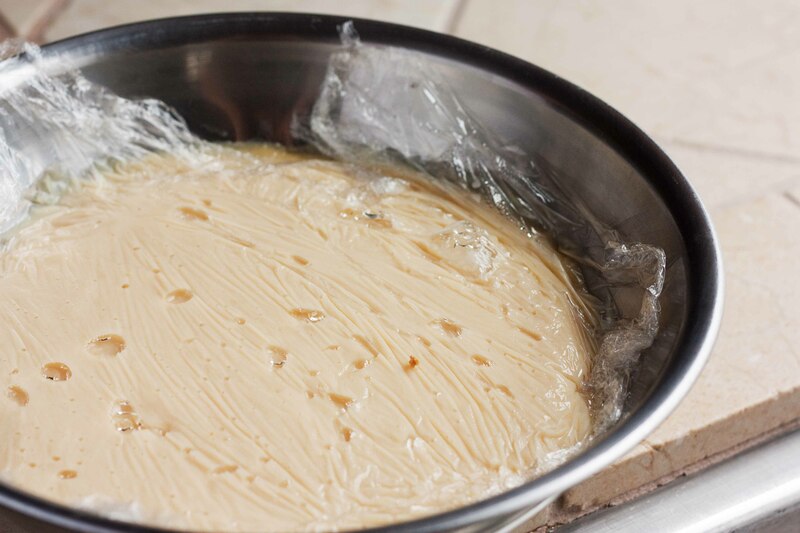 Press into a pie or tart pan. Refrigerate. 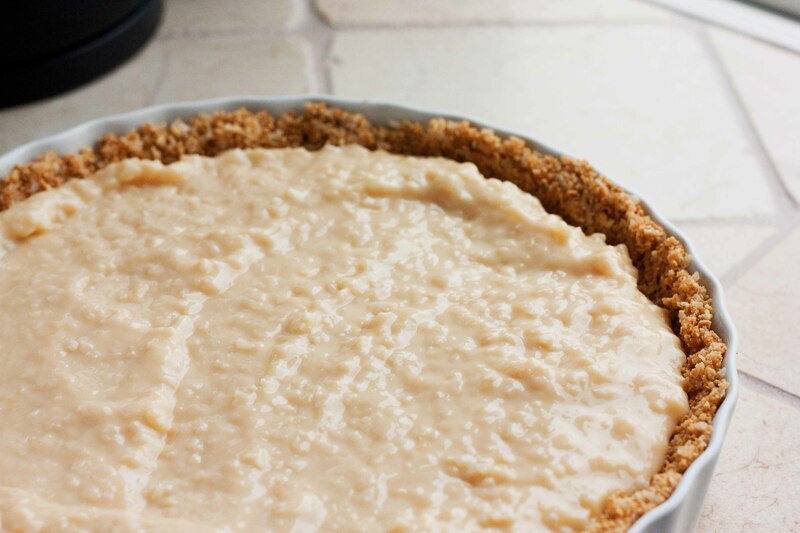 Once your custard is cool, fill the tart crust with the creamy filling. Then make your whipped topping. For the topping, sift together the powdered sugar and cocoa powder. Using a mixer start to whip cream, gradually add in cocoa powder and sugar. Whip until the cream holds firm peaks. Lay it on there, or nicely use a piping bag. Either way, it doesn’t really matter. Even the worst spreading will be covered up with some divine toasted coconut. Lay your coconut on a baking sheet or on a piece of foil and stick it in the oven or toaster oven for a few minutes. Turn it every so often and watch out because it can easily burn. 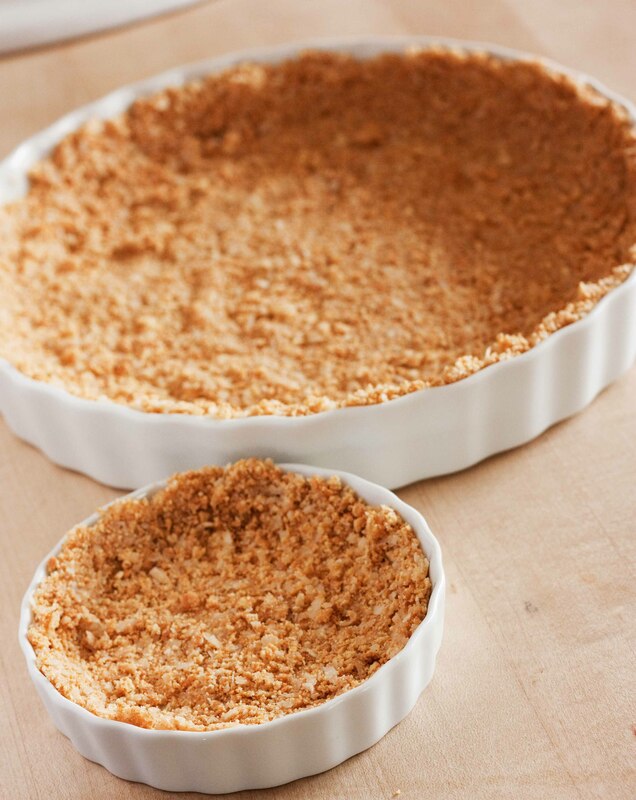 Allow the toasted coconut to completely cool and sprinkle as much or as little as you’d like onto your beautiful tart! Serve, enjoy and feel fancy while you eat it. If this tastes just half as good as it looks, it’s golden. Cream pies in the Summer always hit the spot.